Three-time British Touring Car Champions Matt Neal and Gordon Shedden will join forces once again in the Liqui-Moly Bathurst 12 Hour, aboard an Audi. 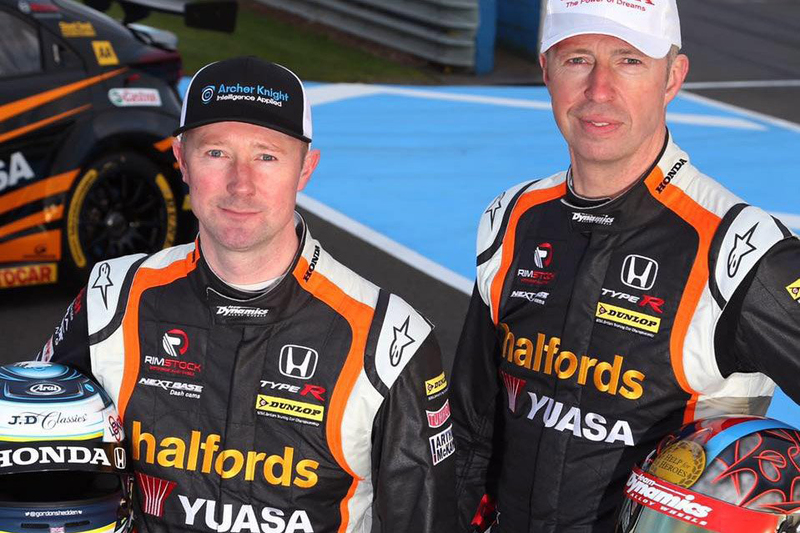 In addition to being among the BTCC's most-successful drivers, Neal and Shedden were Honda team-mates for a decade across two spells. Shedden switched to the World Touring Car Cup in 2018, but the pair will be reunited in an Audi Sport Team MPC R8 LMS at Mount Panorama. Running in the Pro-Am class, they are joined by another Brit, Pete Storey, with whom Shedden made his 12 Hour starts in 2013 and '14. "It's a great combination and we're really happy how it's all come together," said Melbourne Performance Centre's Troy Russell. "All three drivers have been to Bathurst before and the experience that Matt and Gordon bring means they should be a good chance at having a crack at the Pro-Am class this year. "We've assembled a strong team overall and are looking forward to more success for Audi on the Mountain this year." It will be Neal's 12 Hour debut, but the 52-year-old is no stranger to Bathurst. He contested the two Super Touring Bathurst 1000s in 1997 and '98, finishing second in the latter with Steven Richards in a Nissan. Neal's last visit came in 2000 in the Supercars Great Race, an outing with Paul Morris Motorsport that ended with infamy. Entering the final third of the race, Neal was being lapped when he tangled with race leaders Mark Skaife and Neil Crompton. It nearly cost Skaife that year's Supercars title, while a penalised Neal and Morris finished 12th. Other internationals contesting Australia's GT endurance race later this month include 2003 CART champion Paul Tracy – in a MARC Mustang with Morris – and DTM champions Gary Paffett and Martin Tomczyk.